Among the rapidly evolving technology areas, one that’s been both disruptive and hugely impactful is blockchain. The first application of blockchain technology was for cryptocurrencies such as bitcoin, but today, its adoption across different sectors is growing by the day. It’s impact on the future can be judged by the The World Economic Forum survey, which predicted that by 2027, 10% of the global GDP may be stored using blockchain. Blockchain technology adoption will grow even more rapidly in the days to come. A blockchain is a list of records, or blocks, that grows continuously. These are linked and secured using cryptography. Each block typically contains a cryptographic hash of the previous block, a timestamp, and transaction data. The blockchain is designed to prevent modification of the data. It is defined as “an open, distributed ledger that can record transactions between two parties efficiently and in a verifiable and permanent way”. It is typically managed by a peer-to-peer network that adheres to a particular protocol for inter-node communication and validating new blocks. This means that the data in any given block cannot be altered retroactively without altering all subsequent blocks and this requires the consensus of the network majority. In a blockchain transactions are immutable, once done they cannot be deleted. The use of cryptography ensures that blocks cannot be tampered and the data can be distributed, but not copied. While the first application of blockchain technology was in cryptocurrencies and other financial applications, today there are blockchain related initiatives in various sectors such as jewelry, art, music, manufacturing, healthcare and government services. De Beers – which mines, trades and markets over 30% of the world’s supply of diamonds – is creating a blockchain ledger to trace stones from the point they are mined right up to when they are sold to consumers. This is important as consumers are demanding reassurance that the diamonds they are buying have been ethically sourced. As blockchain technology is backed by encryption, only those people who are legitimately in the supply chain can enter or edit data on the database. In the real estate industry, documents and transaction records can be stored securely and at lower costs, and blockchain can also help to create smart contracts that will release funds only when conditions have been met. In the healthcare industry, blockchain can be used to safely store and transfer medical records so that authorized persons only can access them. There is even an idea that blockchain could be used to verify the identity of voters in elections, and only legitimate votes would be counted. These are just a few of the applications of blockchain technology that are currently in development. The potential for this to be applied in many more ways that could enhance security and authenticity and improve efficiency is huge. Why Testing Blockchains is Critical? Once a block is added to the blockchain, it cannot be changed, and if any data on it is modified, the following blocks become invalid. This makes it very important to ensure that blocks are being added in the right way. Testing blockchains is both critical and complex. There are a number of processes in a transaction – validation, encryption, decryption, transmission etc. Testing is needed to ensure that these processes go smoothly. There is a fixed limit of the size of the blocks, so this needs to be tested. There is no limit on the size of the chain. So as it keeps increasing, it needs to be tested for function and performance. With so many users on the blockchain, load is an important parameter to be tested. Transactions/second will keep increasing, and testing for load is essential. 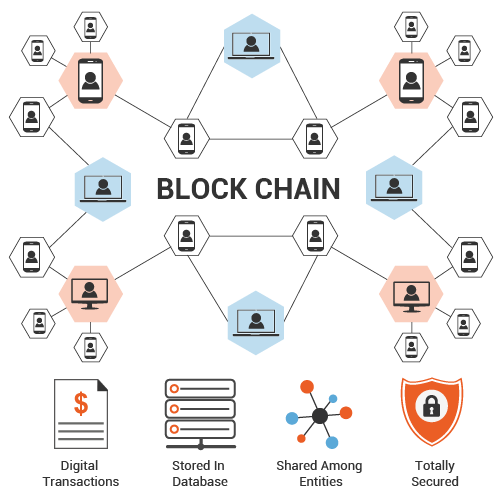 Blockchain has a multi-layered security system. If one layer gets hacked, it should not affect the other layers, and this has to be verified by testing. Encrypted and decrypted data is transferred from computer to computer. Testing is needed to ensure that this process is working flawlessly and that there is no data loss during transmission. Blocks can be added to the chain after the validity of the transaction has been authenticated. Testing is needed to ensure that there is no leak in this block addition system. Cryptography is at the heart of blockchain technology. Testing is needed to make sure that data is being properly encrypted and decrypted. For the various Blockchain applications in different industries, Functional testing is needed. This tests that the system’s components are working as required. The blockchain system could span several systems and environments, so Integration testing is important. The interfaces between the components, the integrations, and the different parts of the system need to function properly together. This is essential to ensure consistent performance. Security testing for Blockchain applications has to be taken very seriously. It need to check if the application is vulnerable to attacks, if authorization systems are robust, whether adequate data protection is in place, and there is no vulnerability to malicious attacks. Integrity, authentication, confidentiality, and non- repudiation are also checked during security testing. Speed is critical in Blockchain applications, so performance testing is very important. The performance of an application and the latency vary based on the network and transaction size. Performance testing identifies performance bottlenecks, and finds ways to overcome them. The rapid increase in the adoption of Blockchain technology mean that new applications will be coming up regularly, and the number of users will increase exponentially. In this scenario, testing of Blockchain applications will become ever more critical, and also complex. It will be necessary for the QA team to have a sound understand of Blockchain and how it needs to be tested.